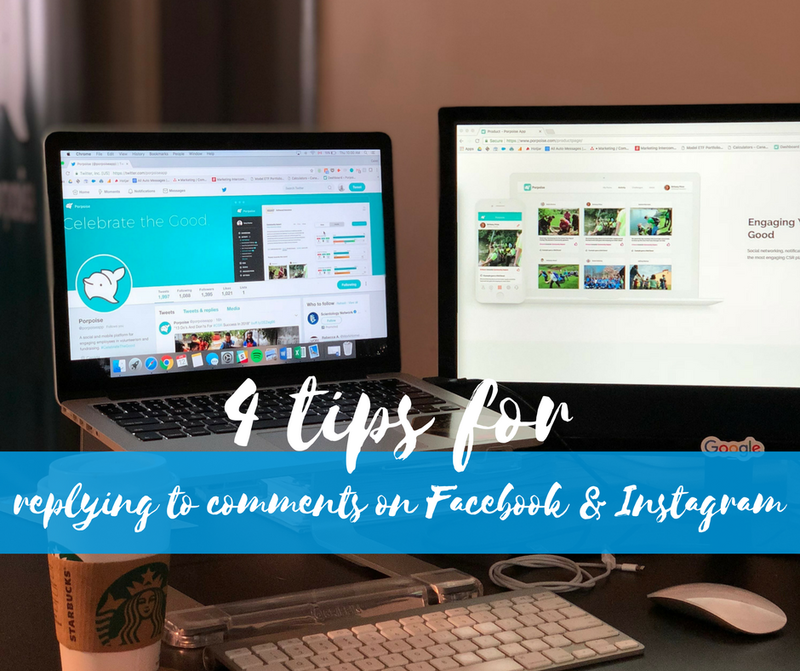 When replying to comments on Facebook & Instagram, you should always be approachable and personable. Try for more than a one or two word answer, and focus on keeping the conversation going. You want to use comments as a chance to build a relationship with your fans. Fast replies are more likely to keep the conversation going. The more comments on a post the more people will see it. Fast replies also help make your customers feel valuable. In some cases, you may not be sure how to respond to a comment, especially if it is negative. In that case, it is important to take your time to craft an appropriate response, which can still be done in a timely fashion! Some comments might literally just be an emojis whereas others might be questions or complaints. Be practical about what deserves your attention and a well-crafted response. Negative comments are inevitable, but by quickly engaging with each comment you can stop most problems from escalating. At a certain point, it is best to move comments into direct message or to Facebook messenger. When questions are getting extremely specific, or someone wants contact information or is being extremely negative, it is best to ask them to send you a private message so you can continue to conversation without everyone else being able to read the thread. Responding to comments on social media is easy once you have the basic principles down. If you promote your business on social media, it's time to take control of your social interactions.